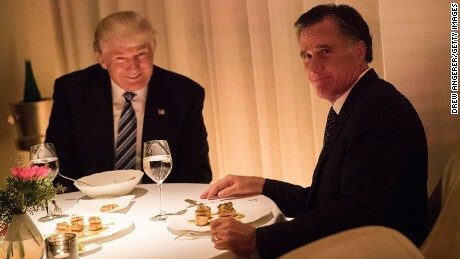 You've undoubtedly heard about Mitt Romney's op-ed taking Trump to task for his bad manners and untoward behavior. (He didn't seem to find much wrong with his policies.) The smart money says he's positioning himself as the fallback in case Trump flames out. It's a smart move for someone --- I've been surprised more GOPers haven't seen that possibility. Romney, of course, has his own constituency and donors so he is probably better placed to djump in late if necessary. Mitt Romney’s scorching critique of President Trump in a New Year’s Day op-ed has sparked a call from within the Republican National Committee to change party rules to protect Trump from any long-shot primary challenge in 2020. The RNC committeeman representing the Virgin Islands late Tuesday emailed fellow elected members of the national party urging them to change the rules when they convene in New Mexico for their annual winter meeting later this month. Republicans are confident that Trump would hold off any primary challenger, but worry the campaign would derail his re-election. Romney, to be sworn in as Utah’s junior senator on Thursday, was the Republican Party’s 2012 presidential nominee, and is seen as an acute threat to Trump in the wake of his op-ed in the Washington Post. Williams said Romney or someone like him would complicate Trump's 2020 campaign. Trump would be the overwhelming favorite in any contested 2020 primary. But Republican National Committee rules make it relatively easy for a well-funded challenger to win enough votes to have his or her vote placed in nomination on the floor of the party’s nominating convention in Charlotte. Under current rules, a primary challenger can get a vote on the convention floor if he or she wins a plurality of delegates in five states or territories (Washington, D.C. can also be one of the five). Existing rules technically prohibit any changes to these regulations inside of a presidential cycle, which begins after the midterms. But as a private organization, the RNC could in fact make any changes it wants at any time. Williams wants the RNC to change the rules, endorse Trump and declare him the de-facto nominee, heading off any primary challenge. But such a move, while possible, could be complicated and generate criticism that the president is engaging in the sort of establishment election-rigging he decried on the campaign trail in 2016. Last month, a torrent of criticism followed after the Washington Examiner reported that the South Carolina Republican Party might cancel its 2020 primary for president to preserve Trump’s standing. But given Romney’s national prominence and lingering concerns about how a primary challenge might affect Trump, RNC leaders might have no choice but to address the issue in some fashion — even if the committee ultimately chooses not to amend the rules. One interesting dynamic to watch: RNC Chairwoman Ronna McDaniel is Romney’s niece, although she has never shared her uncle’s hesitation about Trump. One RNC official said McDaniel's relationship to Romney and her position in the RNC will likely force her to make some decision one way or the other. McDaniel responded to Romney in a tweet Wednesday morning, saying his criticism of the president is "disappointing and unproductive," and "feeds" into what Democrats and some in the media want. The Trump campaign issued a sharp jab via Brad Parscale, the campaign manager, with Trump offering a relatively mild volley in which he asked Romney to be a team player. “Here we go with Mitt Romney, but so fast! Question will be, is he a Flake? I hope not. Would much prefer that Mitt focus on Border Security and so many other things where he can be helpful. I won big, and he didn’t. He should be happy for all Republicans. Be a TEAM player & WIN!,” Trump tweeted. For the record, he didn't win big. And, by the way, Romney got 47.2% of the vote while Trump only got 46.1%.